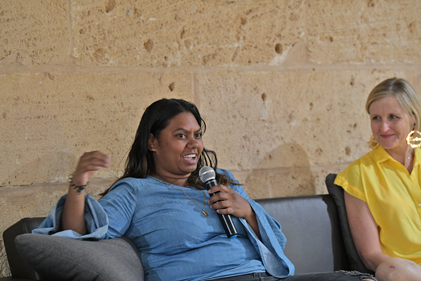 Tonii Wajaay Skeen is a young Indigenous woman descended from the Yawuru Jabbir Jabbir, Bardi, Bunuba, Nyikina and Jaru peoples of the Kimberley region. 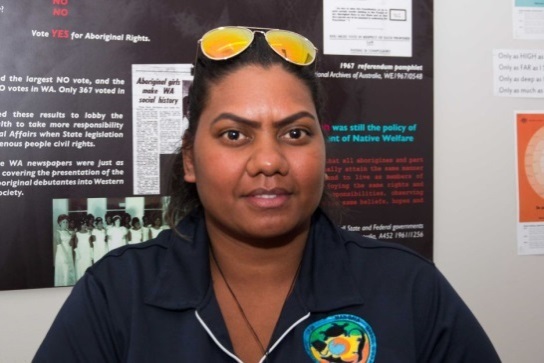 At 23 years old, she already has a strong background in community development and youth work, having worked for Kimberley Aboriginal Medical Services, ICEA foundation and Nyamba Buru Yawuru over the last seven years. Through this, Tonii has been involved in a number of community driven initiatives in the Kimberley region – including ones focused on healthy lifestyles, suicide prevention, and youth leadership. In late 2017 Tonii was mentored by Courtney Devine, seconded to Nyamba Buru Yawuru from Downer. Around then, Jawun connected with Tonii to offer her a place on the second ever Indigenous Corporate Leadership (ICL) or ‘reverse secondment’ program. Tonii recalls that her first reaction was to turn it down because she felt too young and not ready. But Courtney encouraged her – “Grab the opportunity! You’ve got the smarts!” – until Tonii was convinced. She had a lot to plan, not least ensuring that in her tight-knit family, her mother and siblings were prepared for her to be in Sydney for nine months, but she managed. This case study depicts how Tonii’s leadership ability has grown through ICL, and through Jawun’s Stories of Female Leadership network. First, Tonii gained practical insights into fundamental business areas such as strategic planning, financial planning, profit and loss reporting. She gained firsthand understanding of approaches including visual management tools and 90 day workplans. In line with her goal to learn more about corporate governance, Tonii also spent time at the business and risk academy receiving “one on one mentoring in the fundamentals of business opportunity and risk, in corporate governance, and in how to really understand financials”. Throughout, she kept in mind how this could be applied back in Broome. 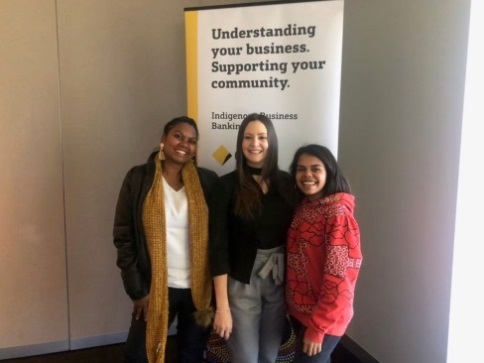 Julienne and Noel Prakash, Tonii’s designated ‘buddy’ at CBA and National Manager, Indigenous Banking, worked hard to structure Tonii’s learning experience as it unfolded. They were adaptable and worked on the principle, ‘you don’t know what you don’t know’. With the chance to do it again, they feel they would give more time to understanding more in advance about Tonii’s experience, learning objectives, and future professional position. At the time it was an iterative process, shored up by strong relationships between Tonii and both Julienne and Noel. Tonii also prepared a number of reports for the Indigenous Business Banking Team and learnt to extract key information from sources and formulate precise reports used by Noel and senior managers to inform key decisions. Meanwhile the Jawun ICL program is entering its third year, bringing the total number of Indigenous participants to eight.